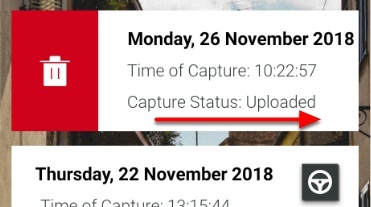 Once a user has uploaded a capture to VR.World or downloaded it to external drive (iSTAR Pulsar+ only) successfully, it may be removed from the iSTAR Pulsar internal storage. Launch mobile app and browse to "capture manager"
The specified capture will now be deleted from the device. 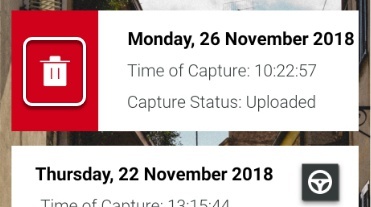 Note: There is no way to "undelete" a deleted capture. 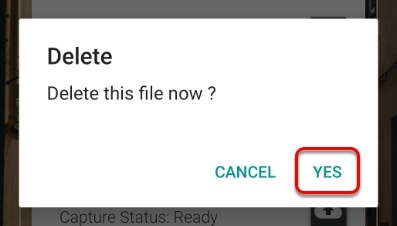 Ensure you really want to delete a capture before confirming the deletion.